About 22,000 Canadians change their names each year. This article about changed names, discusses the many issues behind an individual’s decision to go through this bureaucratic process. 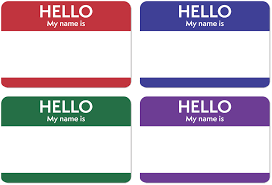 The author interviews both Diane Dechief, former vice-president of the Canadian Society for the Study of Names, and Dr. Iman Nick, president of the American Name Society.